The Mt. 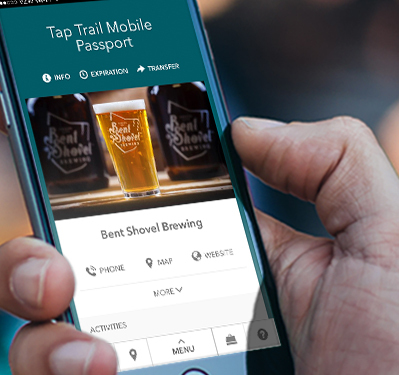 Hood Territory Tap Trail and Wine Trail are our FREE version of a passport program connecting the breweries, cideries and distillery, and the wineries throughout Mt. Hood Territory. Participating locations offer discounts on delicious local craft beverages. Redeem a discount at 10 of 14 participating breweries to earn your Tap Trail stainless steel pint glass, or 8 of 16 participating wineries for a stainless steel wine tumbler. There are no apps to download. Choose your FREE passport below (or sign up for both!) to have the passports delivered straight to your mobile device. Explore the Tap Trail and Wine Trail today! Please drink responsibly. The Mt Hood Explorer Trails are curated collections of great deals and discounts for the best wineries, breweries, cideries, and distilleries in Mt Hood Territory. Your passport will be instantly delivered to your phone via text and email and is ready to use immediately! There are no apps to download! 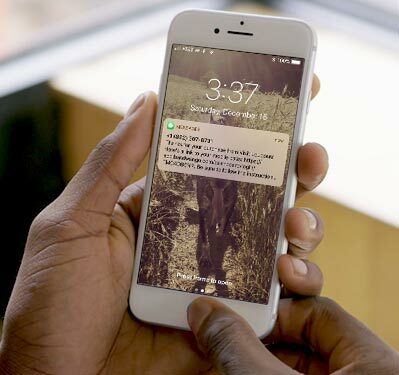 Your pass can be saved to your phone's home screen for easy one-tap access. Each person redeeming a prize needs his/her own completed mobile passport via the app. The stainless steel pint glass/wine glass prize will NOT be given for an incomplete (less than 10 for Tap Trail and less than 8 for Wine Trail) passport. Each participating winery/brewery/cidery/distillery has varying hours of operation. Be sure to check individual hours before heading to your selected destination. When visiting a participating stop along the Explorer Trail, you can successfully redeem at that location by having your server enter their unique code into the mobile passport on your phone, once you have utilized the discount on your purchase. If you cannot pick up your prize pint/wine glass in person, we can mail your prize. Please contact Molly@mthoodterritory.com for details. There may be a shipping charge depending on your location. The Mt. 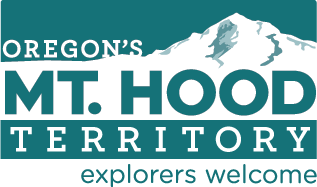 Hood Territory Explorer Trails are an ongoing passport and the composition of the and its guidelines are subject to change without notice at any time, as are the specific discounts offered at each of our participating stops on the Trail. Currently the stainless steel pint/wine glasses are not available for purchase. You need to earn them by participating in the passport program through redemptions..
(Location Closed) Local craft cidery & meadery serving Oregon City and surrounding communities. You’ll find us in our steampunk home, The HiVe Taphouse, which we share with Shattered Oak Brewing, Monday-Sunday 11:30am-10:30pm or close. Cheers! A small batch craft brewery producing delicious, hand-crafted ales and lagers. Bent Shovel Brewing proudly creates hand-crafted ales and lagers on our 10 barrel system along the Clackamas River in rural Oregon City. Nano Brewery focusing on small batch hand crafted beer. Bunsenbrewer is a Fermenation Laboratory (aka brewery) in Sandy. Award winning beers brewed from the magical waters of the Clackamas River. Relaxing atmosphere. Good food for every taste. Vegan options. Families welcome. Taproom is open for all feckers ages 21 and up! Now serving brats to go with your pints, but remember you come here for the Feckin beer! Beer For Pioneers. Oregon City Brewing Company is a family brewpub dedicated to making uncompromising, quality beer & food. 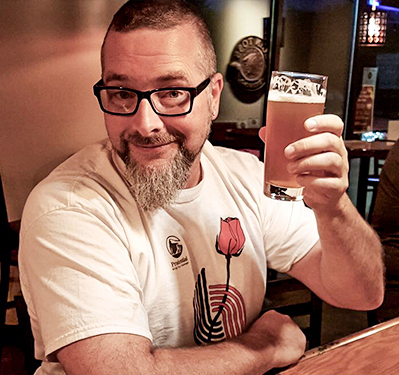 Local craft brewery serving Oregon City and surrounding communities. You’ll find us in our steampunk home, The HiVe Taphouse, open Monday-Sunday 11:30am-10:30pm or close. Cheers! Portland Cider Company was started in the fall of 2012 with the mission of bringing handcrafted cider in the English tradition to the northwest & beyond! Our Lake Oswego Brewpub is our original location with a 7bbl brewing system and offers lake front views from our 220 seat patio. With a wide selection of Stickmen brews, full bar, and full food menu, you're bound to find something crafted just for you! Located at the end of the Oregon Trail, Trail Distilling is the home of the “First Distillery in the First City West of the Mississippi Since Prohibition” and produces the finest in premium spirits. The Willamette Ale & Cider House (WACH) is located in the heart of historic Willamette, West Linn, Oregon USA. It was founded with the purpose of showcasing premier craft beer and cider from the Pacific Northwest and other selective parts of the world. WACH serves not only as a spot to grab a drink and a bite to eat, but also as a place to share in the local craft culture. The traditional British-inspired interior sets a warm and inviting atmosphere, serving as the perfect backdrop for brewing nostalgic memories with your family and friends. WACH is home to Queen Orchard, a 7Bev Cidery production facility, where we produce premium craft cider wine. In addition to the Queen Orchard brand, we offer a wide selection of local, premium craft beer and hard cider through our Taproom. Alexeli is a family-run vineyard and winery that takes pride in raising healthy, LIVE-certified fruit for handcrafted estate wines. We are a winery providing great wine in a nice relaxed atmosphere. Buddha Kat Winery produces award winning fruit wines and ports. We also produce a number of varietals. When you need a serene moment, experience Buddha Kat wines. Family owned winery in Oregon's Willamette Valley, crafting wines from grapes grown exclusively on Pete's Mountain in West Linn. Dog friendly with views, trails and plenty of stories. Sláinte! A boutique country Estate winery since 2007 featuring six hand-crafted varietals in a timberframe setting on Satori Springs Vineyard. Family owned & operated vineyard and winery. Permaculture principles are used to manage the vineyard and orchard. Featuring Chardonnay, Pinot Noir, Leon Millot, Sparkling Wines & Dessert Wines. Small, family-owned winery in the scenic Willamette Valley. We make 100% estate-grown wines in a bright and fresh style. Hand Crafted, Small Batch, Vintage, Estate Wine Family Estate Winery, Vineyard and Tasting Room. N Willamette Valley AVA since 1999. Our assortment of wines include Pinot gris, Chardonnay, Viognier, Sauvignon Blanc, Pinot noir, Marechal Foch, Merlot, Petitie Sirah, Syrah, Cabernet, Tempranillo, Zinfandel, and a vintage style Port. Enjoy our breathtaking views of Mt. Hood and the Willamette Valley while tasting our beautifully balanced wines. St. Josef's Vineyards & Winery - one of the original Pacific Northwest and Oregon wine pioneers. Before there were microbrews and gourmet coffee in Oregon, there was St. Josef's Winery. Delicious! Is the adjective we hear the most when describing our wines. Many different varietals crafted in small lots, showcase the purity of each varietal’s flavor & uniqueness of the terroir of the finest Northwest vineyards. Visit us in beautiful West Linn for an incredible experience tasting our current-releases. Relax near our trout stocked pond or warm up next to the fireplace while enjoying a glass of wine. Our tasting room is in our tropical plant conservatory which is inside our 12th century Spanish inspired stone edificio. We have extensive gardens and serve 7 different varietals. Small family run Winery & Vineyard in the heart of the Willamette Valley specializing in Estate Pinot noir, White Pinot noir and Rose. Join us in the tasting room on weekends! We have a great selection of wine including Albarino, Sparkling Albarino, Sparkling Blush Moscato, Pinot noir, Pinot noir rose, Tempranillo, and Marechal Foch.